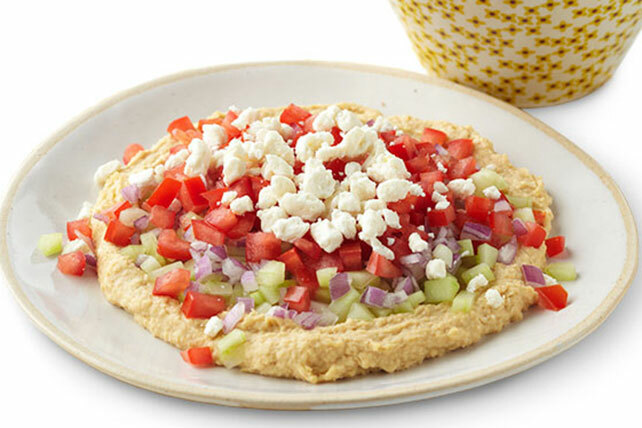 Enjoy this Chunky Vegetable Hummus recipe with chopped cucumbers, red onions and plum tomatoes, and a sprinkle of crumbled feta cheese. Top with layers of all remaining ingredients except bread. Prepare using ATHENOS Crumbled Reduced Fat Feta Cheese. Prepare using any other flavor of pita breads.